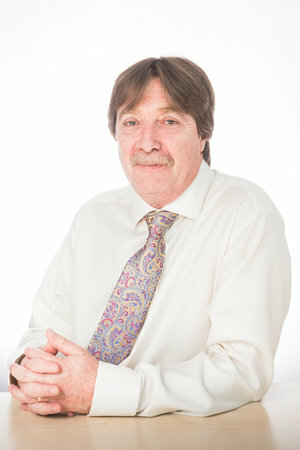 Jeremy Tomkinson is the NNFCC’s Chief Executive Officer and was responsible for creating the remit and ethos of the Centre in 2003 along with Government, industry and academic representatives. Jeremy is an accomplished business professional with over 18 year’s consultancy and research expertise in the bio economy. Jeremy is the NNFCC’s Lead Consultant for Biofuels and Transport. He provides specialised and critical advice to the UK Government on the use and implementation of biofuels specifically advanced biofuels, along with a growing portfolio of national and international clients in the biofuel and biomaterial sectors. Jeremy is goal oriented business professional with over 18 years’ consultancy and research experience. He has managed a team of over 40 scientists, 30+ at postdoc level with multimillion pound research and admin budgets. He has written many proposals for work at a national, EU and international level and has an excellent track record of delivering complex projects to targets on budget and within deadlines. Jeremy holds a PhD from the University of Newcastle in organic chemistry and prior to joining NNFCC he was Director at the Bio Composites Centre which is a multi-million pound self-funding research institute focusing on renewable materials and products. Jeremy was the NNFCC lead on this non standard biofuel certification project for ​a multinational fossil fuel client wishing to supply biofuel into the European market. The project required an in depth EU and UK policy analysis and developed a critical value chain path from feedstock suppliers ​through conversion to final customers. The project ​registered all of the current (and future) supply / value chain players with competent scheme body, ISCC; and organized all of the necessary audits in the US, UK and EU which were all passed successfully. Fuel is now moving to the UK with new opportunities being followed up in Eastern Europe. Jeremy was the NNFCC lead in this large scale biomass gasification project undertaken in collaboration with ETI and Royal Dahlman. NNFCC had responsibility for ensuring greatest value for money was delivered to companies and stakeholders. The project involved identifying optimal regional residual waste arising’s and contract discussions with providers, assessment of site geography candidates and discussion and finalising agreements with site owners. Jeremy was the NNFCC lead in this project for UK Governments Department of Energy and Climate Change. The project ​assessed a wide variety of deployable bioliquids for heat only applications. The project was complicated as many of the potential candidates could also be precursors to biofuels and needed to ​assess where each feedstock would be best deployed. The project involved detailed chemistry assessments and land sustainability issues. Jeremy was the NNFCC lead in this project for a UK technology developer ​looking at and developing the value proposition of using biosyngas to replace food based sugars in biotech fermentation projects. The project required a deep understanding of the EU and UK RED policies in addition to a robust technology knowledge. The project assessed ​value propositions including potential payments and offsets between the RO (CfD) and the RTFO plus cap and opex considerations for conversion and generation of the gaseous feedstocks.